Grab your backpack, pack your lunch, and don your scuba gear. We're sending you to the bottom of the ocean to teach you a thing or two about winning big in Shark School! This fantastic 50 payline, 5-reel slot machine is packed with amazing chances to win. As if a top award of 39,000x your bet per line isn't enough of an incentive to head to class with clownfish, sharks, and other marine life, you'll want to grab your pencil and take notes for this one. Shark School includes three big bonus games where a prize multiplier of up to 200x your bet is waiting to be won. And there's more. With a fourth row of symbols—the first of its kind at Slots of Vegas—there are even more chances to catch a big win. Ready to dive in and enjoy the fun? Download the free Slots of Vegas software right now to get started. We promise this one is way more rewarding than educational. Don't worry about reading a lengthy school textbook to figure out how to play. We've got a quick tutorial right here. To get started playing Shark School, click the up and down arrows that you'll find to the left and right of the Bet and Lines button. They'll help you lower or raise your selections. Feel free to play between 1 and 50 lines and bet between $0.01 and $5 per line. When you're happy with your bet, just click the Spin button. If you've landed on qualifying symbols, you'll get paid out. Some symbols pay out more than others and a few symbols leads you to a special bonus round where you can enjoy free games. Wondering which symbols are worth the most? Just click the Help button in the game at any time for all the important info. Just like acing an exam takes preparation, winning at Shark School takes strategy. 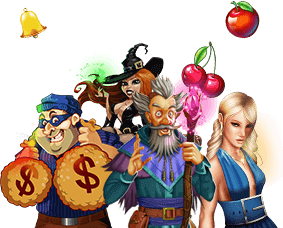 In this online slots game, you can play between (1) and 50 paylines at once. You can also bet between $0.01 and $5 per spin. If you're working with a smaller bankroll, your first inclination might be to lower your paylines and raise your bet. This is the wrong move. We recommend playing all 50 paylines. For each payline you don't play, you miss getting paid out if the right symbols line up on a symbol you forgot to play. Instead, consider lowering your bet per line. That will help you conserve money while keeping your chances of winning just as high. Substitute Symbol: When we said school was rewarding, we weren't kidding. Shark School features a Teacher symbol. Land on one of them when you're one symbol shy of a winning combination and it will sub in for that symbol to help you land a payout. Scatter Symbol: Look out for the School symbol. Hitting three of them sends you into free game mode where you can play on the house and win up to 200x your bet. You'll get to play one of three feature games, so choose wisely. AutoPlay: Not interested in paying attention in class? You're going to love this. Turn on AutoPlay and we'll take care of spinning for you after each game. We'll use your last locked in bet and line selections to make your move, and then pay out if you've won something. And we'll keep doing it until you turn AutoPlay off.